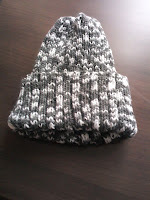 I have just finished a hat and muffler for the Seafarers and they turned out OK. 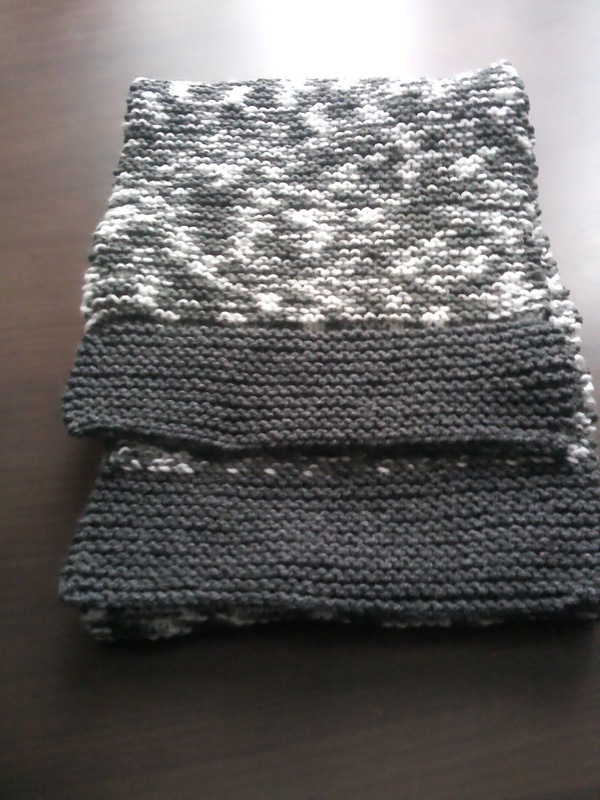 I used some yarn that was left over from an old project and had to add some to the ends of the muffler to make it long enough. Mission for Seafarers help all those who work aboard ships from all over the world. I asked them if they also needed hats and mufflers for women and they do so the next hat and muffler I make will be for a woman in more feminine colours. I seemed strange knitting a hat in rib only it looked like a large oblong with a bit of shaping at the top. It turned out OK though and I was pleased with the end result. The yarn is variegated so lent itself nicely to the ribbing stitch. I thought I had enough to make the muffler 60 inches long but did not. I picked up 40 stitches along the bottom edge and knitted a section in a solid colour that went with the yarn I used and did the same on the other end. It looks as if I meant it to be that way so was pleased that it looked OK.
Garter stitch throughout, so nice and easy to do whilst watching TV in the evening. I like to break up my projects so I knit a hat and muffler then go onto another project this time a Teddy for Siblings Together. He will be finished soon then I will post about him. I love making different things that way I do not get bored making the same things over and over again. I find lots of ribbing a bit of a pain to knit, but the end result is a well-fitting hat. 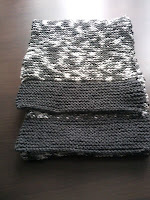 The scarf is lovely in that stripy wool.